These support multiple accounts so that you can put one pair of Yeezys after another into your shopping cart online. Opt for ones having other features like auto retry that allow you to purchase even if the site is down. Make sure the bots are easy to use. Then you can set them up easily and get them running in no time at all so that you can cop as many Yeezys as possible. The next process after selecting your bot is adding your private proxy settings to it. Your bot may allow adding of tons of proxies to it that will make it possible to cycle through proxies. This way the sneaker sites will never know who you are making it possible for you to buy lots of sneakers. Just add a number of online proxies to the bot in order to cop as many sneakers as you possibly can. The bot will be able to assign a different proxy to each purchase in order to work around the limits in order to get as many Yeezys as you may want. But do test your bot before the day of the launch. This is because you may hit some roadblock while using the bot for the first time. Run some tests to ensure that everything will work as planned. In case of a problem with the bot, contact the company in order to work out the kinks before the day of the launch. This way you can get your bot up and running before the launch day. You may even upgrade to a VPS – “virtual private server” that will provide you powerful resources as you move from one site to the next. It will add speed to your shopping experience. These are affordable and easy to use. Just login and access these Windows server to utilize the powerful server while buying sneakers. Also, the VPS can help you cop the shoes when you’re out of home or office when the Yeezy Boosts are launched. You can use mobile access to your server that can be done through a remote desktop software application. Just use the login credentials that you get when you sign up for a Windows VPS, and use those for an RDS application. Now you can log into the app from your mobile device. This way you can check in and keep a tab on your sneaker buying progress even if you are not home when these sneakers hit the virtual shelves. You need to decide how you will be paying. This will depend on how many pairs of Adidas Yeezy you wish to purchase. If you plan to buy a lot of pairs from many different retailers, you need to think about how to pay. Prepaid credit cards can be a good option. Now test your payment method so that everything goes perfectly on the launch day. You can buy something cheap in order to make sure that your payment method is working properly. In case something is wrong you may contact the customer service department to get it fixed before the launch day and avoid any problem. Just double check the release details as these may change at the last minute. Keep your bot loaded so that you are prepared. Just keep this plan so that you can bring home Yeezys. You need to start by buying private proxies and choosing the best dedicated proxies in order to be positioned in a way to cop lots of sneakers. Now load up on the rest of the tools that includes bot and Servers. Basically, you need to be well prepared so that there are no issues on launch day and you are able to get your sneakers with relative ease. Just follow the simple steps given above in order to achieve what you want! I recommend Luminati Residential Proxy service. Unlimited amount of ports and IP’s – and less then 1% fail rate. Really appreciate you writing all these tips. My question is, If I have 20 proxies but no bot, what is the best way to cop as many pairs as possible on adidas (blue tints). Prefer it also to be able to do on one single pc. Is it to open 20 chrome profiles and have one ip adress on each profile? Will I be needing a pc server as well? I think you need to install auto-fill Chrome extension and Page Monitor extension if you want to cop by manual. Use the server or not, mainly on the basis of your internet connection speed and your desktop which support to open 20+ chrome profiles or not. I am new to the copping game, but I would like 1 pair of yeezy blu tints to try reselling. How do you think I should buy one pair? 1.Should i open 10 tabs with the splash page(only one proxy per tab)? 2.How high are my chances on getting one pair with 10 proxies, 10 tasks and the Aio x, knowing that the stocks are pretty high? Only for 1 Pair 1 size? I suggest you should aim to more size to cook! >> If you’re use the proxies, You can run more than 10 tasks with AIO X Chrome Extension,and you have to different profiles on Chrome browser,easily add more profiles via “add person” on chrome. In my views, you can Use AIO with Extension 2-3 tasks/profiles per proxy on adidas will should be fine. >> If you’re not use proxy, you can run more tasks but not exceed 10 tasks/profiles on adidas and cop different SIZE on each task that reduce chance to mark by adidas (Too many same size from same IP may be found by their anti-bot system,This is just my views). To all, I think you can run more than 10 tasks…I suggest you use 5-8 tasks on via your home IP and 10-25 tasks via proxies. 2. No matter you buy the aiobot or AIO X, you should read this “The purpose of the software is to INCREASE YOUR CHANCES. ” This is influence by many factor, No one can promise to you. 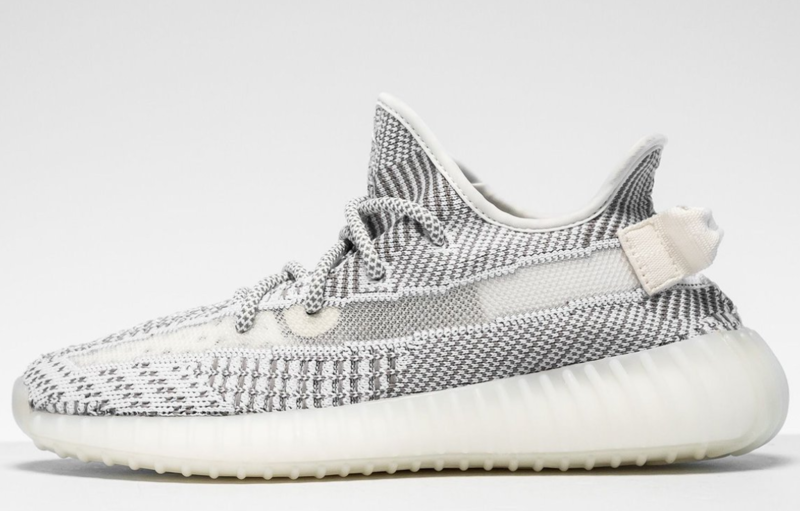 And should not just focus on adidas, you can also get the Yeezy boost 350 Blue tint on Yeezy Supply and other Footsites. Thank you for the answear.I heard people say that i should only use 1 proxy per profile, also the aio x only works on Adidas. From my answer, you should know why i suggest you use, 10-25 tasks via 10 proxies, 10 task via 10 proxies just means 1 profile per proxy 1 proxy per profile is secure to proxy. Use the proxy on browser is much safer than use the proxy bot, so anyone use the BOT to cop, You have to use 1 proxy per task. 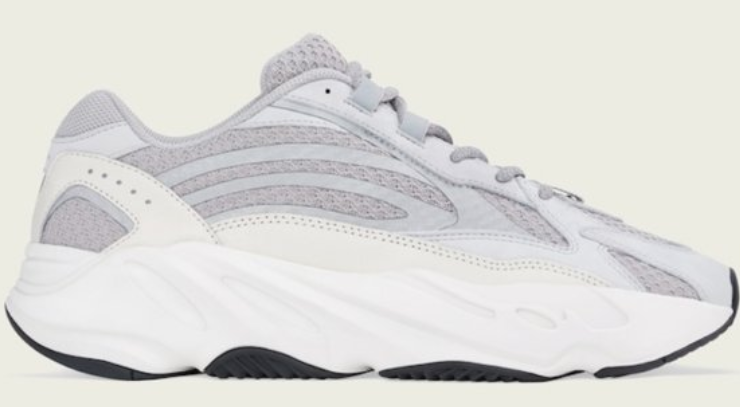 Hi I’m looking to purchase two yeezys on AIO Bot. How many tasks should I run and how many proxies for each task? Only for 2 pair, I suggest you run 30-50 tasks to Cop on the adidas to try your lucky if you’re do not use the server, and if your Desktop with a good CPU Specs you can run more tasks. And 1 proxy for each task via the Bot. If you have a US bank account, you can visit to this site to get a solution. Hello John, and thanks for all the info, its really nice to have tour feed-back and advice! I have a question if you have time to answer. At your situation, i think you’re not use the server, So, For Adidas,I would suggest you run 80-100 tasks will be fine and you can run more tasks on foot sites, like 120 or more..
Based on your question,I usually run 1 proxy per task and 1 task for per account. So,I would like to tell you to get as many cards as possible, more accounts you can run more tasks. And that also depends on how much risk you Have to takes, you may also run 2 tasks for 1 account,but they may cancel your order..And 1 task must use 1 proxy! Last, if you can not get more cards,I suggest you run 8 task with 8 proxies and change your billing/shipping address a little as 8 accounts to run. Thanks you so much for your answer!! Hello, I am new to the proxy game so this may sound like a stupid question. Firstly, what do you mean by tasks, and how can apply the proxies to the tasks? Also does the HMAC on the bot bypass the splash page? 1. Task just mean a copmputer click to cop the snneaker, more task mean more computers to help you cop,but if want to this, you have to use the proxies to use for masking the IP address, too many requests sent by one IP address will easily detect by the adidas and other websites. So, more proxies mean you can run more task, I suggest you use 1 proxy for 1 task. 2. That just may be, that why the owener of AIOBOT suggest you use 50% proxies for normal tasks and 50% proxies for HMac destroyer. I was wondering if you can give me an insight into credit cards. Let’s say I want to cop 6-8 pairs on release. How many different credit cards would I need? If you want to cop 6-8 pairs on same website, obviously you need to more than 6-8 credit cards. The reason is the websites like adidas or supreme and others, which only accept 1 orders by same card, more order will be get cancelled and remain only 1 order. Easily search “virtual credit card” or “virtual debit card” to find a solutions! If you have a US bank accounts you can us “privacy” to help you out. Thanks for the quick and helpful reply!! I was wondering, I am located in Belgium and it is somewhat difficult to get a hold of “virtual burners” etc. Could you help me get on my way please? Do you mean Shipping address? There are lots of re-ship service online, but i don’t know whether offer the ship to Belgium or not, i think must be have that, but you have to search by yourself! I actually mean if you need to have different ship-to adresses per shoe? IE if I win 2 pair at the same store with a proxy do I need different ship to address? And if I win 2 pair from different stores? 1. Use the default setting which is 3 in HMAC Destroyer. 2. Use the default setting which is 40 seconds in Refresh rate, you can change to 20 or 10. Hi, awesome information here! Which bot have you had the most success with? I’ve been doing some research, but would like to know how your personal experience has been like. Thank you. There are not too much different about the bot, just the interface in my thinking. And look like KENNET get all shoes on foot websites also. It’s so much easy to cop on footsites ???? Any one get more good results and Do this time is easy than the past? Hi, which bot did you use? And where did you get your proxies from? And did you use a server? If so, which one? Also, was this your first time using a bot? Thanks! Hey what is your opinion on Sole Slayer? If I use sole slayer, buy a server, and buy around 50 proxies, what/how many proxies do you recommend per footsite? Sorry, i am no experience Sole Slayer..
My answer is as more as you can, which on the basis of how many billing information or ship address you can get. 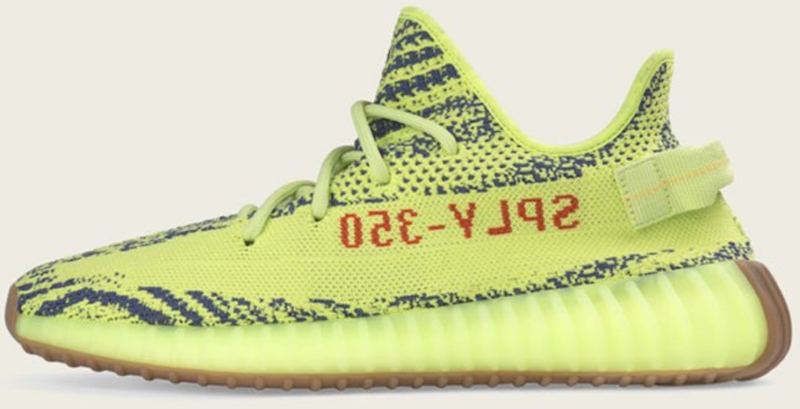 Hi John, so I’m plan to buy one or two pairs of yeezy in next release day, I wonder starter package of EasyCop Ultimate with two account is good enough for me? Because I don’t plan to resell them. I also wonder if I set task in different store, will it keep retrying until it all get success? Because I only want to buy it for myself, so I don’t want to buy too many. Also, is it work for Adidas when they get the I’m not robot thing(the verification)? 1. Obviously, Only run 2 accounts that’s Try your’s luck in my views, I suggest you run 20 accounts at a time to win. 2. Yes, you can run your bots on different stores, but no one can promise to win this games..None of bot service can guarantee it. 3. If you’re only run 1-2 accounts, i think you really don’t anxious about it. if you’re using same address to ship or credit card information to purchase lots of pairs, the orders will be cancel. Which proxy or vpn company should I use to purchase Supreme? supreme site has a strict van….. Could you make a purchase at Supreme web site? There is a old post about Proxies for Supreme Bot to Bypass Limited Cops, and i recommend some of proxy service for that and also you can check the comments on the post for getting more useful information. Can I use multiple bots on a single computer? Of course, if you computer and network connection is fast enough, and if you’re want to use multi-accounts, you still have to use the proxies. Will the proxies and server be a one time use or can I use them multiple times for several realesses? Usually the the proxies and server are monthly orders that’s mean you can use them when realesses at any time in this month, also you can use them at the same time on different footsites, But obviously if the proxies have already banned by the special sites mean the proxies can not works on this site. BTW, Next month you can ask the proxy provider to refresh the proxies if you’re continue the orders. How much RAM and vCPU do you suggest for 50 tasks? The 50 tasks are really too little,1G RAM + 1CPU will be fine. The sneaker bot do not take too many RAM, i test to run 1500 tasks using 2G RAM , there are much idle on RAM. So, you should really care about is the CPU Processor Speed. My suggesttion is 400~500 tasks per CPU will be fine, 1k tasks should 2 CPU at least, 2k tasks should 4 CPU at least. And,obviously if you’re using 400 tasks on 4 cores that’s tasks are splited by 100 tasks per CPU, so you get fast Processor Speed. Also, use “Ctrl+shift+Esc” to open task manager on your dedicated server when the bots is running, that’s can better to know how it’s used. Hi John, i have a question. Can i use 50 prepaid cards with the same name, but different shipping address ? I think its should works, for lots of guys are indeed the same name. Generally the orders got lost when using the same billing/shipping addresses. Thank you for your fast response! So i need to make sure that the 50 prepaid cards have different billing address and shipping address right? As an example: My first card billing and shipping address is at 3000 South Lane and then my second card billing and shipping address is at 3100 West Lane and so forth. I want to cop The Black/Solid Grey adidas Ultra Boost 3.0 which is dropping on this Saturday! Now i just invest to AIO bot and plan to buy 20 proxies, can you tell me how many tasks per proxy run? And only other suggestion to me? Hope get your fast relpy! It’s not a super complicated technical programme on cop the Adidas Yeezy Boost or Ultra Boost and others. 1. Fast speed on your internet connection. 2. Computer or Dedicated Server with fast Processing power to handle numberous tasks/accounts by bot. 3. Sneaker proxies to maximize accounts to run. Some suggestion is use 1/1 ratio on a proxy per task/account.Still, Diversify your proxies let it in more different subnets, Hope you can win the game,GL. I have found a proxy provider that is working quite well for me. Since I tried numerous providers from this page I figured I would share my findings incase it could help others. The service I found to work great is Proxy Rotator. It is a rotating proxy service and so far I have not had any issues with blocks/bans and continue to retrieve accurate pricing. How many proxies are recommended for purchasing say 5-6 pairs of Yeezys boost? I want to be able to purchase from Adidas and footsites. I suggest you can use 10-12 proxies for 10-12 task on your bot, means 1 proxy per task, that’s more safe to the proxy if the proxy not banned by footsites. BTW, You may try different size of sneakers then change to others. some people suggest to use rotating proxy than dedicated proxy, is rotating better than dedicated proxy? Rotating proxies also named backconcect proxies usually are residence ip address that hard to bannd by footsites. For copping, i thinks you have to use the fast proxies.